Music by Crystal Method, Vibrasphere, Androcell, Random Rab, Jason Knight, Govinda & TBD ! For years a great cross-section of the human population has been curious about the date December 21st, 2012. Much of this curiosity has been recently satisfied through a multitude of books, films, and scholarly theory. However, another question remains in a curious mist of uncertainty. Where's the party going to be the night of the grand Halabaloo? In the summer of 2006 I began working on a documentary film as part of a project to finish my degree in anthropology. The subject of my research was the spirituality of electronic dance music culture. Having never been to an electronic music event, let alone listened to much electronic music, I traveled out to the West Coast of the United States for the first time with a handful of tickets to parties and festivals I had never heard of to document the mystical undercurrent of the scene. A whole myriad of prophetic, esoteric conceptions and beliefs awaited. Downstream from counter-culture, new age, and general psychedelic phantasmagoria, an ocean of free-form spiritual narratives created a web of neo-mystical realities, a whole multitude of micro-religious frameworks that all in some way weaved into the metaphysics of dance-floor transcendentalism. As I trekked from party to party, whether they were intentionally spiritual gatherings deep in the mountains, or outlandish hedonic revivals in concrete jungles of urban society, I began to hear rumors circulate about a party on December 21, 2012. The idea of wild super-massive rave at an ancient ruin the day of our envisioned doomsday, as well as beginning, seemed to link to a general tone of prophetic belief that made up a major part of the esoteric trace within the rave community. There was an obvious influx of mysterious ideologies circulating around the Mayan Calendar which permeated the scene. I immediately questioned the presence of so much Mayan mythology within the community, and also the adoption of the 13th Moon Dream Spell calendar. The Calendar, created from time codes hidden within the original Mayan Calendar, had stimulated a movement for peace through the adoption of a ‘new time' in New Age, and other spiritually bent fringe groups all over the world. The Dream Spell Calendar had also become prominent in the rave scene. Party flyers were dated with Mayan glyphs, Mayan art and other Mayan symbology was displayed around dance floor décor, clothing, and artwork, and other externalized traces of an internal belief structure manifesting within the scene. Within the mathematical cosmogony of the DreamSpell, pervades the principle that our species is about to transcend ordinary third-dimensional existence, into a forth-dimensional, or in some translations, a fifth-dimensional reality. It was a bizarre idea to encounter, and it was even more bizarre to have an ecstatic dancing experience progenerate this notion. The adoption of the Dream Spell Calendar, also posts a neo-apocalyptic narrative circumventing the end-date of the Mayan Calendar in 2012, while at the same time hosting a mathematical philosophy of a major shift in human cognition through the transformation from which a higher-dimensional existence would ensue during our alignment to the center of the Galaxy on December 21, 2012. I am at a festival called Lightning in a Bottle, an electronic music festival outside Santa Barbara. I am sitting with a group of people inside a tent between a propane lantern that blazes with a low electric hiss. The pumping thunder of mega-watt speakers' pound through the nylon tent walls. Just outside, a sea of people dance in a giant clearing amidst laser beams and flashing neon lights. The roar of their celebration amidst pulsating electronic rhythms echoes the futurism of a ‘techno-tribe' emerging. From interview to interview, my own perceptual interpretation of transcendent ritual through festive cultural rupture rang a shared mental picture as to what the experience meant for people. Through my ethnography of the electronic music culture, I had been observing a movement towards a primordial return, integrating a ritual technology as a mode of transformation. It was my belief that the kinetic engagement of the dance itself was the main source of esoteric undercurrents which permeated the scene. Of course psychedelics play a huge role, but the experience had on the dance floor created by intense movement and electronic dance music was the real cultural source for a shared vision of future transcendence into an alternate dimension of reality altogether. The integration of the phenomena and phantasm that encompasses the self-guided dogma incorporated in the 2012 initiative weaves so neatly into the transcendental impression these sonic environments encapsulate. When looking closely at the initiative of the 2012 meme, a new world-view of collective spiritual transcendence is indication of the honest expression of the cultures internal desire to alter their perception. In the face of a quickly changing environment which instinctually demands a transformation of the ways in which humanity both perceives and carries out his existence, the idea of global destruction and creation has long fed into the mythologies of human groups as apart of this internal expression for dramatic change. Never before in the history of humanity have we seen a single millenarian idea so widespread. Yet, a prophecy of global transformation would require a global culture to bare its vision, and the electronic dance community appears to be one of the many appropriate carters of the revelation. Another interesting facet of the integration of this new ‘mythos' with the electronic dance community, is the move to outdoor environments, and the integration of intentional ritual and ceremony to their night-long ecstasies. This juxtaposition gives the party experience an authentic communal, as well as tribal sensation, one that implies meaning and value to the experience. With this experience comes a temporary transformation of the perception of the individual undergoing the experience. Cognitive processes are gently and sometimes savagely altered. The integration of psychedelics into these events allows one to further integrate their imagination into the experience of the environment that surrounds them, in a cyclical feedback relationship between the experience and the experience. Systems of belief and thought are replaced, both temporarily and permanently. The environment yields to an alternate dimension of being, and the experience, though brought on through an arsenal of synthetic arrangements, momentary replaces traditional perceptual frameworks. Memory of the experience remains and over time evolves cognition. We live in what we believe to be is real. Every time someone experiences reality in the mystical playing field generated at these parties, the more the experience integrates back into the ‘familiar.' The concept of consciousness shifting, takes on a very subjective nature as dance ritual reinforces the pragmatism of the experience. As conversation of a shift in the collective reality of the dance community ensues, the number 2012 pops up in more and more conversations. The party becomes a vehicle for the collective transformation of an entire human group as their collective memories build up a shared perception of a new experience. It's an old trick in human behavior that corresponds with the inner workings of our minds. For thousands of years, cultures and their traditions all over the world have used music and dance as part of the ritual and ceremony for the integration, and stability of their tribal structures. Key to this article, it not only promotes community, is promotes the subjectification of their mythologies and their prophecies. What man is actually interpreting through the development of a mythos is not an interpretation of a particular vision or story but the energetic experience of the dance itself. What one experiences in an ecstatic state of trance is the experience of their internal desires. Since our internal desires are primordial, they are instinctually connected with nature and the environment around us. Thus, as our environment changes, and we see threat to our current cognitive processes and cultural value systems; the alteration of our belief structures through a hyper-onslaught of groundbreaking scientific information, the desubjectification of religious systems, a globalization of the sacred, the meltdown of the industrial world, and environmental threats, transformation of mind and spirit permeates the internal psyche within these spaces of liminality. The tribal experience of dancing beyond the realms of the ego produce a strong feeling of connection with community through music, and the rupture of traditional cultural systems that seem to no longer be working. This creates a Petri dish for the development of new cultural frameworks and the reordering of the groups cognitive processes to better adhere to the changing environment. Dance is an instinctual human behavior to demoralize and reframe perception as a means of evolution of mind and body. Myth is product of ritual, it is the interpretation of these eternal desires for change. Myth is the narrative of a primeval reality, translating deep spiritual desires, moral craving, social and the practical requirements for social transformation. Myth expresses, enhances, and codifies belief. In turn, myth creates reality. Consciousness requires narrative. Individual consciousness and the collective human consciousness requires the framework of a story in order to direct its initiatives for change. When one's current reality is threatened with drastic alteration it naturally begins to weave narratives of explanation that will offer hope and resolution to guide its actions through the transformation. The millenarianism that is character of the dance community displays this very quality of the development of a transcendental mythology as a means of reframing its own cognitive processes to alter mind, body, and spirit to better suit our own personal interface with the environment. Dance-based millenarian movements have happened throughout history, in cultures all over the world. When the Lakota Natives were threatened with oppression and reservation life, they immediately reacted with the development of a pan-Indian religion known as the Ghost Dance. It was characterized by the emergence of a prophecy that a particular ritualized dance would bring a peaceful end to the Anglo expansion, the return of the Buffalo, the salvation of the community, leaving the earth filled with food, love, and faith. This narrative was typified by clean living, honesty, and cross-cultural cooperation as a means of salvation and resolution alongside the dance itself. For the dance community to adopt the undercurrent of a similar narrative proves a structural framework to the development of mythos as a form of cultural revitalization. Though the salvation of humanity and the world lies within our individual change in lifestyle as a means of adhering to the shifting environment, the characterization of death and rebirth into a new world fits the prophetic initiative as well: Salvation through dancing. Though the dance community has added the awareness that the process of bringing about such change, will not come through a mystical transformation but through the cultural rupture brought on by the act of ritualized dancing itself. The intentionality of the culture reads into the natural magic of sound, and its influence on neurological states. Experienced within a large group it creates a bond of the collective psyche and the subconscious initiative of the group permeates through the experience. Consciousness instinctively fabricates new translations of experience, the development of new ideas of origin, and prophetic direction. Humanity naturally begins to weave new stories for itself as the environment surrounding the collective subject changes. An interesting coincidence, in 1987 a event known as the Harmonic Convergence, was held by New Age groups all over the world to usher in an era of awakening into love and unity through divine transformation that would be fully awakened on December 21st of 2012. That same year of 1987 has historically been identified as the birth of the rave scene. It was the year that the ecstatic experience of a ritualized dance became popularized in urban youth all over the world, the beginning of a culture which defined its own initiative as a revolution of peace, love, unity, and respect, through the ecstatic unification of sound, mind and body as a collective group. For years the numeric value two thousand twelve has been whispered on the edges of dance floors all over the world. It is most apparent in the psychedelic trance community as an underlying mythos that defines the revolutionary synergistic electro-fusion of mind body and spirit.. The 2012 narrative is a form of interpretation most commonly now used to define the experience and the worldview that permeates the reawakening of a primordial experience. Again I am in-between parties, staying in a cabin in Mount Shasta conducting and interview with the Shan-man, owner of The Village Oracle in Weed, California. We are sitting out in the sun, the icy tip of Mt. Shasta beaming in the background. We are talking about the integration of the 2012 mythology into the cultural framework of the electronic dance community, and the role that the parties actually are playing in the process of global awakening into a new mode of thinking. He describes the party as a welcome mat, “They are like a doorway in,” he describes, a doorway that leads into a mystical world of archaic, magical phantasmagoria that the experience of transition into indicates not only transformation of the self, but the world to follow. 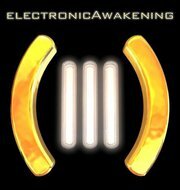 What I see as one of the most interesting features of the 2012 initiative in terms of the electronic dance community is the idea of a synchronized global gathering on the date the calendar ends, December 21, 2012. On that date the earth lines up with the sun, which lines up with the Pleiadian Star system and the elliptic of the galaxy; a celestial alignment that the earth has never before experienced. The Dance community already celebrates a model of this end-date ritual, called Earth Dance. This is another synchronized party linking 360 dance-floors all over the world as an intentional ceremony for peace. Though this ritual is conducted annually, the preparation for an even larger synchronized dance ritual to celebrate a celestial event as rare as our alignment to the center of the galaxy offers an interesting notion that humanity should very quickly becoming aware of. This will be the most massive, pan-human ritual ushering transformation in the history of human kind. With the constant development of the mythos surrounding the 2012 meme, what will such preparation, and practice of such a ceremony alter of the consciousness of those participating in the ritual? The alignment of dance rituals to celestial events is traditionally the source of a mythologies link to the stars. Which means, that our collective human narrative is fashioned and reshaped by the movement of the stars. Meaning that our collective human story is a translation of this energetic experience of the cosmos. How will the energetic experience of the alignment be translated? The creation of new myth perhaps, a new story of human kind. So to answer the introductory question, as to the location of the partyI have heard several rumors. Some rumors have entitled it "The Party at the End of Time". The collective pattern of gossip seems to congeal to 7 principal locations. There is word that these locations may very well be planetary chakra points. To my knowledge, these points are Titicaca Lake between Bolivia and Peru, Mount Shasta in California, Uluro Kattjuta, the big red rock in the middle of Australia, The Tor in Glastonbury, The Great Pyramid in Egypt, and Mouth Kailash in Tibet, and Kuh-e-malek Siah a not so tall mountain located in the Tri-point area of Iran, Afghanistan and Pakistan. These are the main points to my knowledge, however I have also heard of the Haleakala Crater, the El Tule, Table Mountain, Bali, Mount Fuji, and the Sergiev Posad in Moscow to be locations also. Wherever the party is, and no matter what happens on December 21st 2012, the most important and beautiful part is that people from all walks of life, from all different cultures and countries will be United in a dance, a celebratory ritual to usher in the Galactic New Year, and a new dawn for mankind. Because when it comes to mankind's own part in the great theater of the 2012 alignment, if anything on our part is going to bring about any real and dramatic change, a massive global rave sounds like a damn fine go at it. If anyone has any other information to share of the massive Party at the End of Time, I would very much like to include it in my documentary for all the world to see.